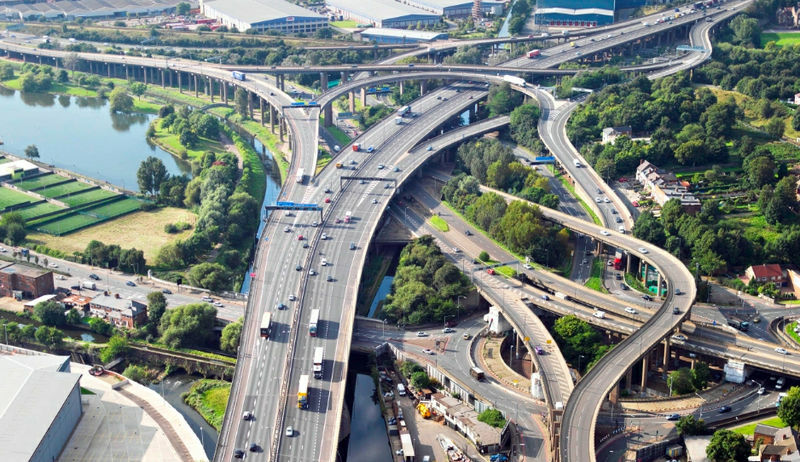 Elevated highways or expressways are common in cities around the world, usually built to be pleasing to the eye, and almost always impressive – see for instance the complex in Birmingham, UK, that was named Spaghetti Junction, or another in Dallas, USA called the High Five. 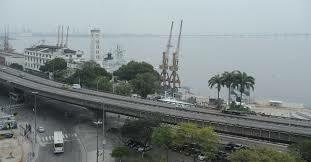 We have a few in Rio, and perhaps the most complex is the Trevo das Forças Armadas, at the top end of the Av. Presidente Vargas.The word “trevo” means cloverleaf – and that is what the first of these junctions looked like – a simple way to avoid a ground level crossroads. 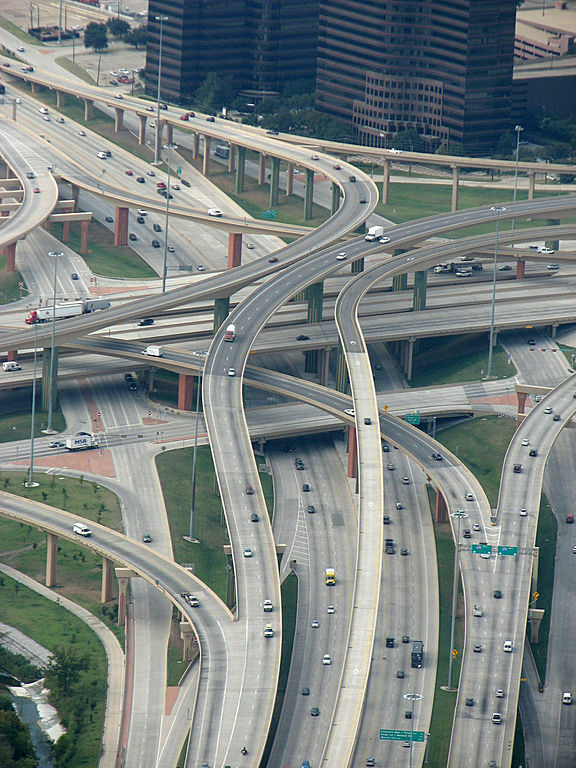 This one does not look like a cloverleaf – various highways cross going in different directions, plus railway lines, both the Central Line and the Metro. 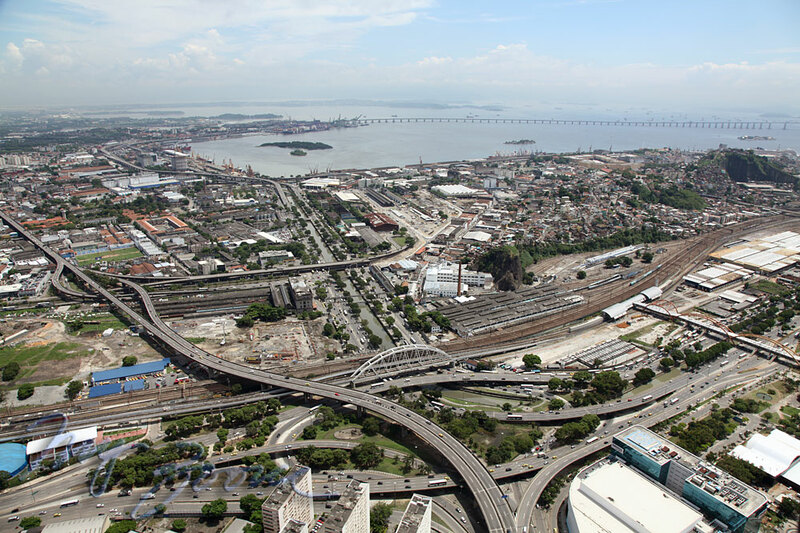 If you are coming from the South Zone, through the Rebouças tunnel and along the Elevado Paulo de Frontin, depending on which exit you take when you get to the end, you can head into the city center, or take a left towards the Maracanã Stadium, or the interstate Novo Rio bus terminal, from where you can head along the docks, or take another elevated highway leading to the Avenida Brasil or the Rio-Niteroi bridge. Otherwise, if you bear left at the end of the Paulo Frontin, that takes you to the Linha Vermelha (Red Line), which leads to the airport, to Petropolis and Teresópolis, or São Paulo. I don’t believe the Perimetral had that much effect on the area over which it passed – basically the docks. The warehouses mentioned were doomed anyway, as the whole philosophy of marine cargo transport changed, the main change being from stevedores to containers. New container docks were built further down towards Cajú, and the stevedores who inhabited the old warehouses disappeared. Cargo ships no longer unloaded in this section of the docks. They were replaced by Cruise Ships, and the passenger terminal (old Touring Club premises) was refurbished to receive tourists. This is in a way a return to the past, when large passenger ships docked here, such as the Royal Mail A-line and Highland ships, back in the 1950s. People traveled to Brazil on ships (I did myself in 1954), taking a leisurely three weeks, instead of the rush of today by air. Alternative uses were found for some of the warehouses, such as rock concerts, but on the whole they were abandoned. Warehouses and shops on the other side of the Av. Rodrigues Alves also suffered, but are now either being demolished or renovated under the Porto Maravilha plan. For a video of the plans to demolish the Elevado do Perimetral and substitute it with other means of transport, plus other plans for the area, please click here.